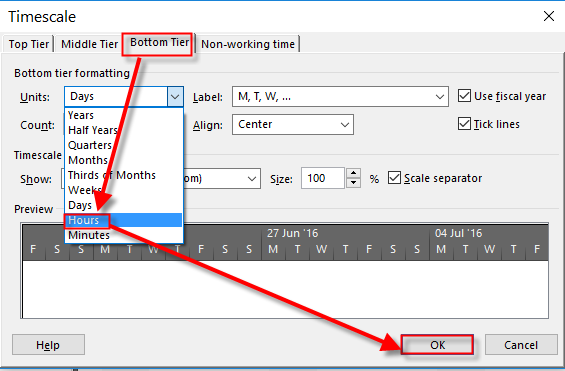 How to show Resource overallocation within one day in MS PROJECT 2016? I have the following issue … I have a resource with an 8-hour working day. I assign him a task starting 9:00 am with a duration of 3 hours. I also assign him a task starting 10:00 am with duration 1 hour. Project does not flag it as an overallocation, I guess it’s because it does not go beyond the 8 hour restriction for a working day. But there is a conflict with the tasks since both have to be performed by the same resource at the same time. Is there a way to have Project indicate this conflict? Well, here we are talking about showing overallocation within one day. I’ll show you that with MS PROJECT 2016! John is available supposed to work 8 hours per day, and since he will work 3 hours for First Task, and 1 hour for Second Task, he is not overallocated. Or is he? He is not overallocated in one day (he will not work more than eight hours per day), but what about during the day? John is now marked as overallocated. 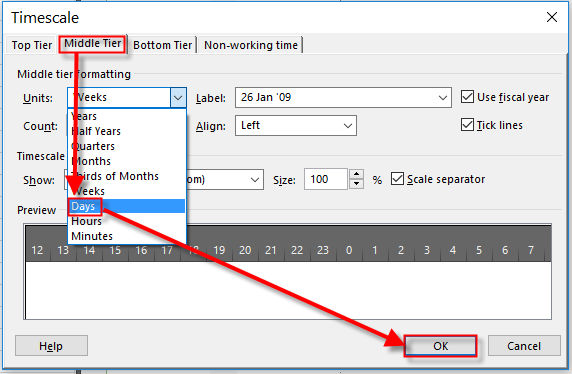 If Leveling option is set Day by Day then John will be marked as overallocated only if he is supposed to work more than 8 hours (in my example) per day, no matter if he is supposed to work on two or more Tasks at the same time during the day. But if this is set to Hour by Hour it means that John will be overallocated when he has to work during the day at the same time to two ore more Tasks. 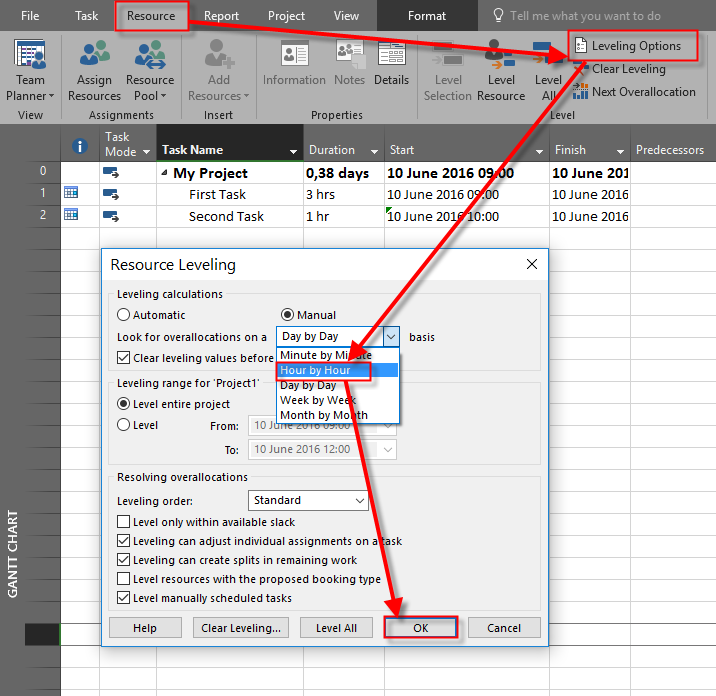 This entry was posted in MICROSOFT PROJECT, Micsrosoft Project 2016, MS PROJECT 2016, PMI, PRoject Management and tagged Microsoft Project 2016 - Overallocation, MS PROJECT - Overallocation. Bookmark the permalink.